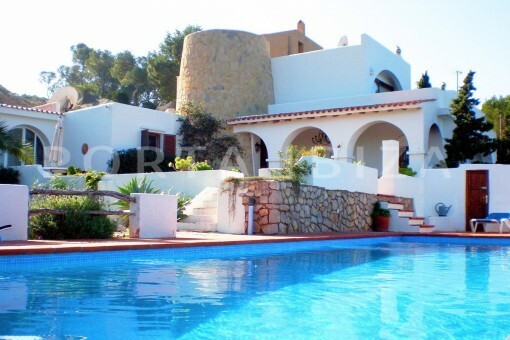 This large villa, located in Cala Moli in the municipality of San José comprises a total of 5 bedrooms and 4 bathrooms. 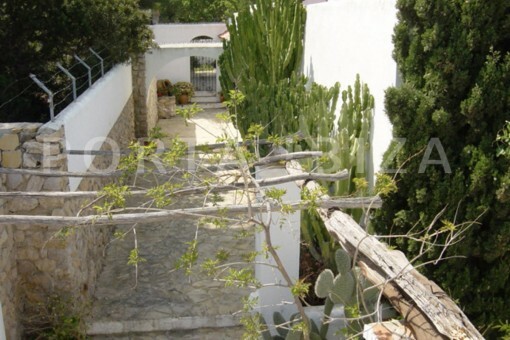 The main villa and guest house are totally private and secluded. 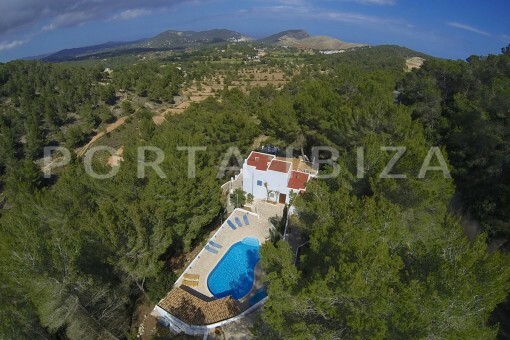 The main house boasts a charming tower, made of traditional Ibicencan stone, housing the master bedroom and a bathroom en suite. 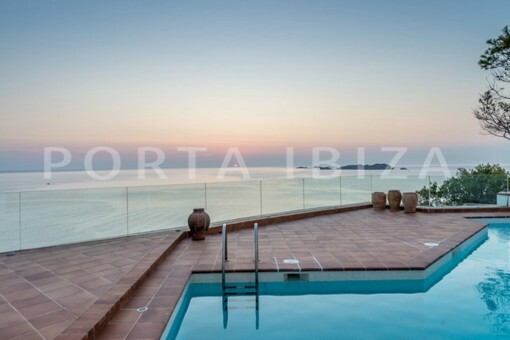 A large terrace off the master bedroom benefits from superb views of the sea and nearby islands. 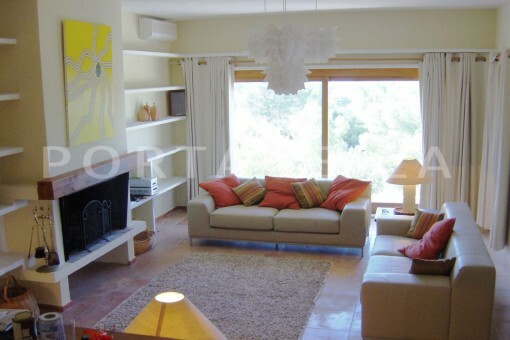 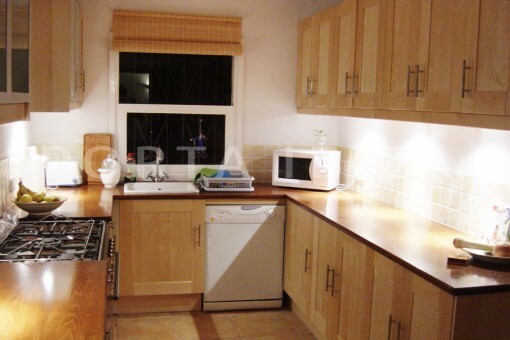 There are a further two bedrooms, a large living room and dining room. 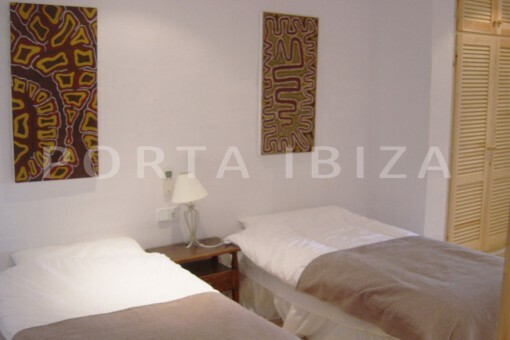 The guest house comprises 2 bedrooms and bathroom. 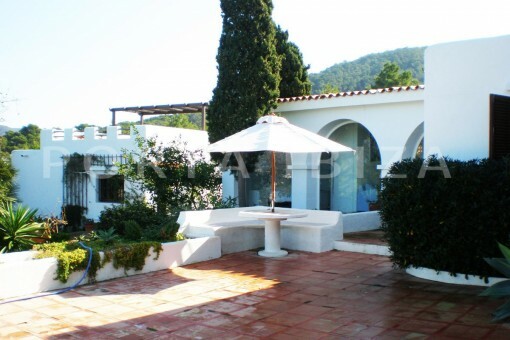 The outdoor covered porch, adjacent to the upper terrace comprises a BBQ area and there is a chill out gazebo above the guest house. 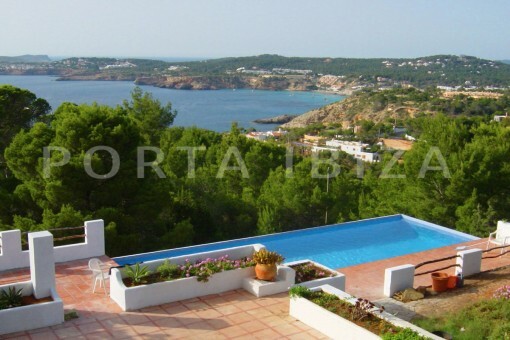 The villa has fabulous 270 degree views towards the sea and the Esparta, Bledas and Conejera islands. 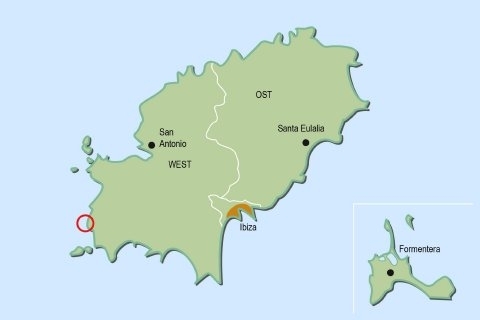 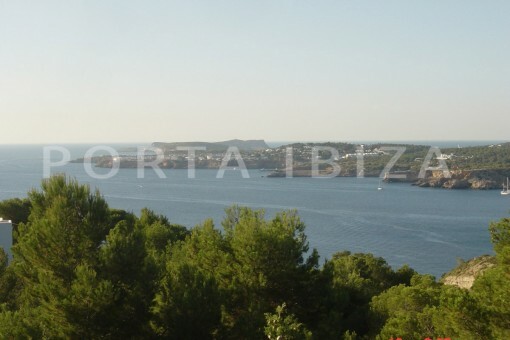 Cala Vedella, Cala Moli and Cala D'Hort, some of the finest beaches on the island, are a short distance away. 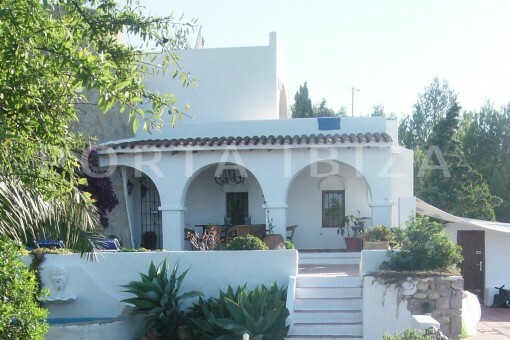 The property is set in a beautiful garden surrounded by palm trees, cypresses, lemon trees, almond trees, mimosas, cactus and a grape vine. 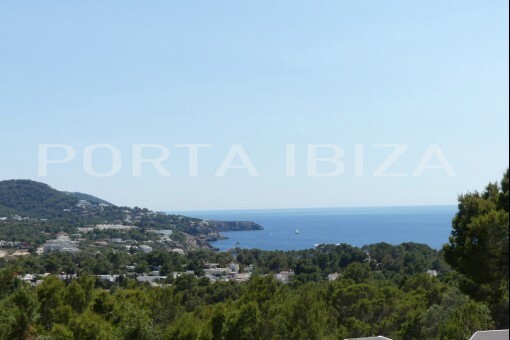 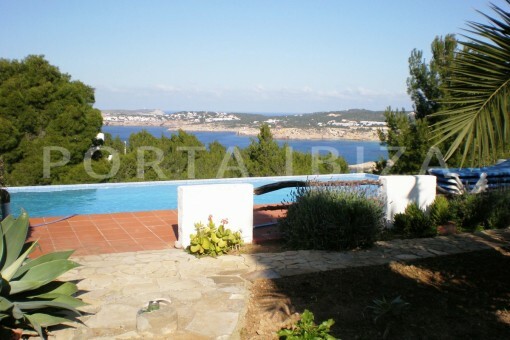 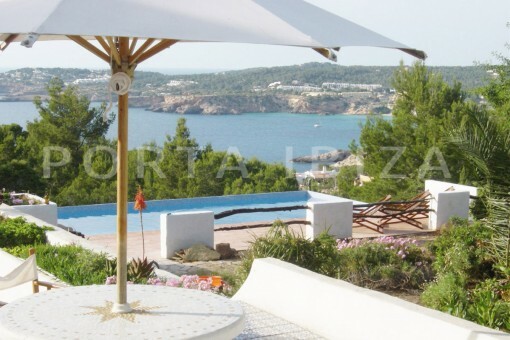 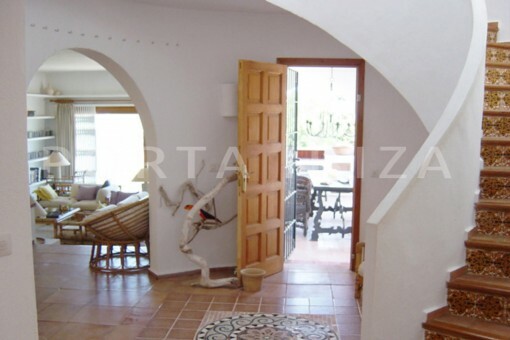 I'm interested in: Spacious villa with beautiful sea views (Objekt-Nr.101268).